Karisma is a gorgeous daughter of Alizee du Rock ( find out more about Alizee here) , by the legendary Indoctro ‘preferent’ who is one of the worlds greatest sires. After being champion of his stallion grading test he went on to a successful international jumping career. His off spring continue to achieve successes at the highest level. Inductro has sired a significant number of Steur, Keur and Elite KWPN mares. 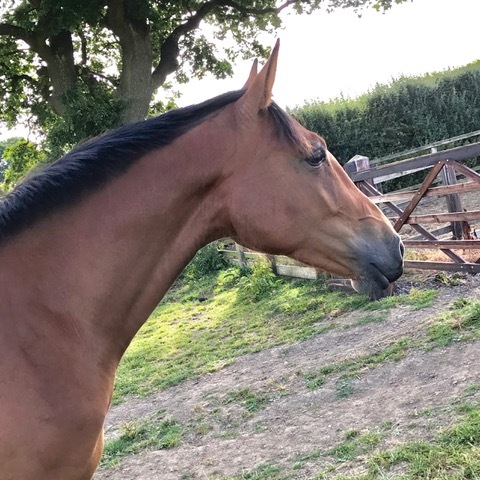 Karisma is an athletic stamp of an upcoming powerful, moving horse, who has excellent paces and already proving she’s got a huge bouncy canter. She is well handled on the ground with a nice attitude. Easy to handle, trim, worm and catch. 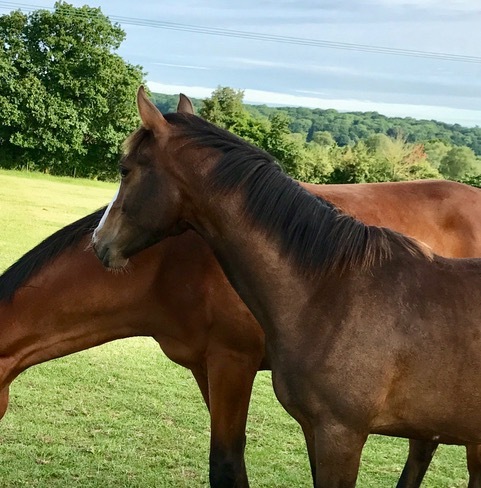 Karisma is a lovely daughter of Tweak Tweak, who we recently sold, who is by a thoroughbred stallion by the Classic winning European Horse of the Year, Rock of Gibraltar, out of a ISH mare by Cloneen Clover. Karisma is by the up and coming stallion Future Gravitas who is by the legendary Grafenstolz who evented to 3* level with Michael Jung and is the only horse in history to qualify for the bundeschampioats in eventing, dressage and showjumping. Future Gravitas’s dam is the elite mare Guswith Genoa which makes him half brother to the silver medalist, WEG gold medalist and multiple 4* winner Winsome Andante. 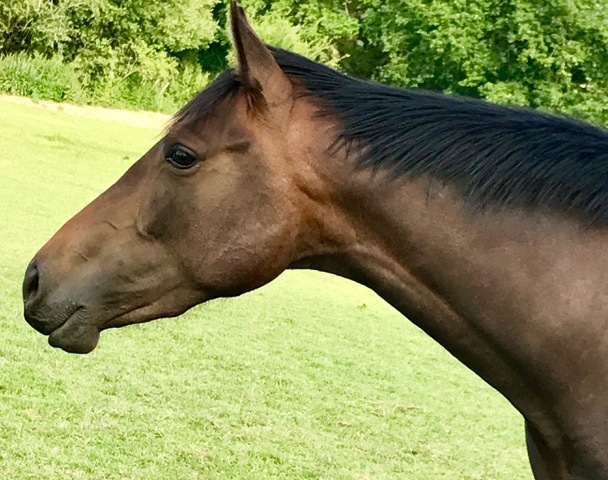 Karisma is an elegant, athletic and well moving filly who is bred to event with plenty of blood. She is well handled on the ground with a nice attitude, easy to catch, worm, trim etc. Belle is by the Grand Prix show jumper Cristallo 1 who was ridden by Ludgar Beerbaum. Cristallo 1 jumped internationally up to 1.50 level until unforeseen injury meant his career came to a halt. His sire, Cornnet Obolensky, is a foundation stallion in the breeding of modern jumping horses. He is currently ranked 3rd in the WBSFH sire rankings. Belle’s dam is Billy Chime, ( please find out more about her here). Belle is a compact, athletic looking type who is bred to show jump. Belle is a lovely filly with a very sweet attitude, she is easy to handle and to catch, worm and trim etc.